The BH550 Bass Head builds on everything that people loved about the original BH250 - more power, more punch and more creative features without compromising on the ultra-lightweight design. On top of that you get a highly intelligent EQ section, a built in tuner and space for two toneprints. No longer is your creativity held back by some fixed set of built-in effects. With the innovative TonePrint technology you become the amp designer. So if you need a swirling vintage flanger and a TubeDrive for your next rock gig, or a compressor and a chorus when you play with your funk band, you simply just load them into the amp. TonePrint means signature effects made by the most awesome bass players around, like Victor Wooten, Duff McKagan, Nathan East and more. These TonePrints are available for free, straight from your smartphone - and with 2 switchable TonePrint slots available, you can mix and match to your heart's desire. Bass TonePrints are free, custom-tuned effects, provided by your favorite bass players. TonePrints give you access to an effect as it is used by the artist - so you can tap directly into the TC tones used by the best bass players in the world. The TonePrint App allows you to beam TonePrints from your phone to your TonePrint-enabled pedal or amp. Easy, fast and totally free of charge. Long gone are the days where bassists where the quiet dudes side of stage staring at their shoes pumping roots and fifths. Today's bassist is versatile, expressive, loud, and ready for his place in the spotlight. 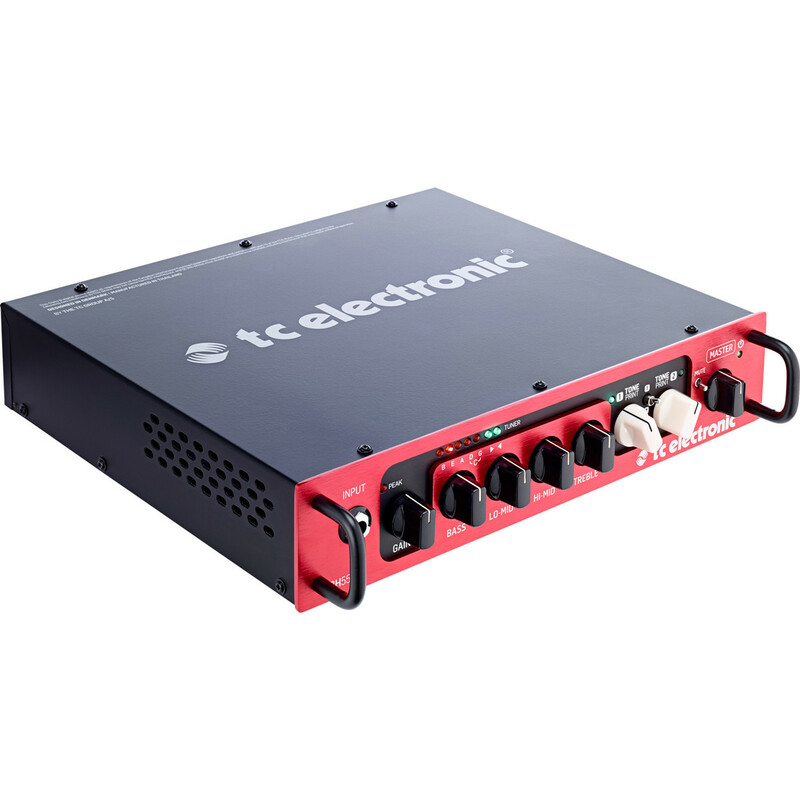 To perfectly support the needs of their fellow lovers of low-end, TC Electronic has designed the BH550 to fit the needs of busy bassists on-the-go. That means a lightweight, portable design, a killer EQ section and unlimited tonal versatility through TonePrint - plus an on-board tuner. 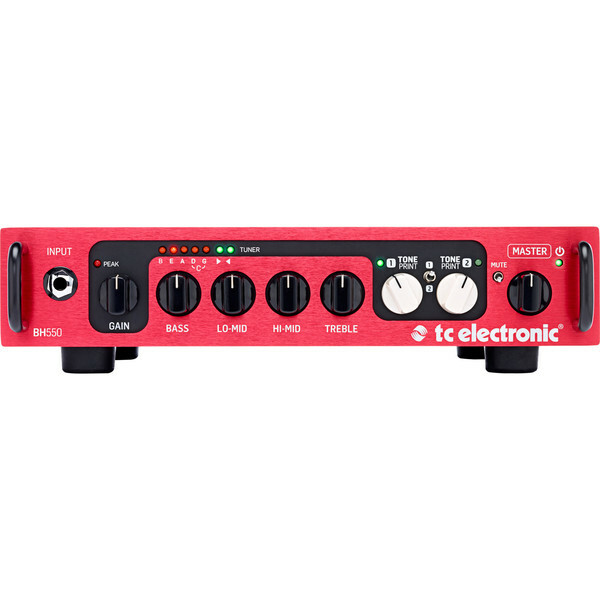 TC Electronic really know tone, and with the BH550's intelligent EQ section they've once again placed themselves far ahead of the tone-tailoring-game. Behind the deceptively simple four dial design lies a frequency range perfectly tuned for bass. So no matter if you like your sound nice and scooped, fat and groovy or filled with high-end sparkle the BH550's tone controls will be sure to cut and boost in all the right places, leaving you sounding your best every single time! You can load and swap effect types on the BH550 via USB or the TonePrint App for smartphones. Once you load an effect of your choice to the amp, you can use the white TonePrint knob to adjust the wet/dry balance. The BH550's ultra-precise on-board tuner is there when you need it. It's always on, so you constantly have a clear read of whether you're in tune or not. And with a frequency range that supports up to six-string basses, you can be sure that your low-notes will always be in tune. 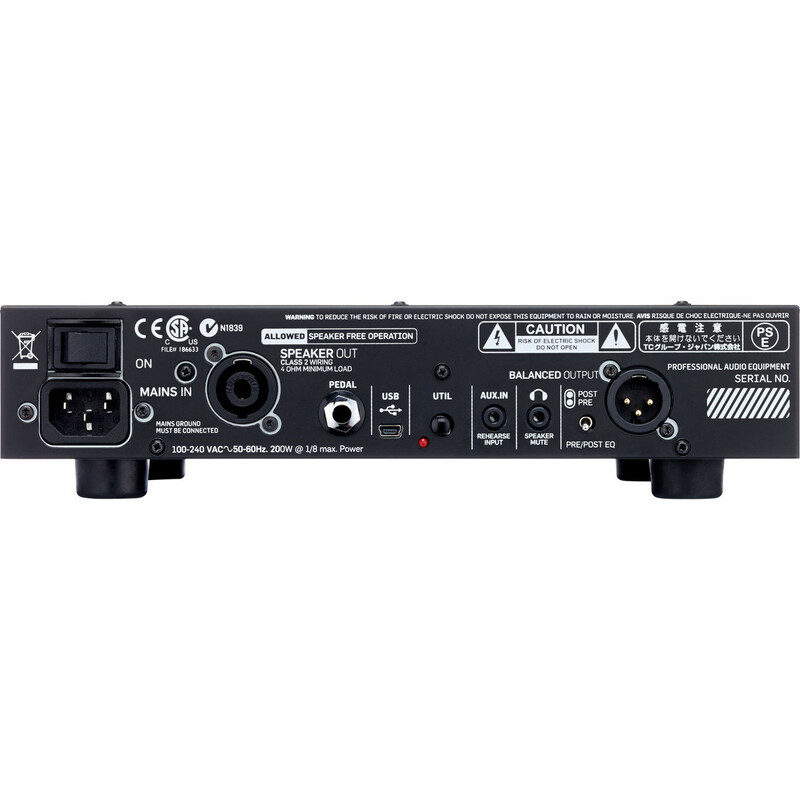 Use the balanced output to send a signal to a PA or a sound engineer when playing live, or use it as a high-quality bass preamp in the studio when recording, taking advantage of the tone controls and TonePrint features. 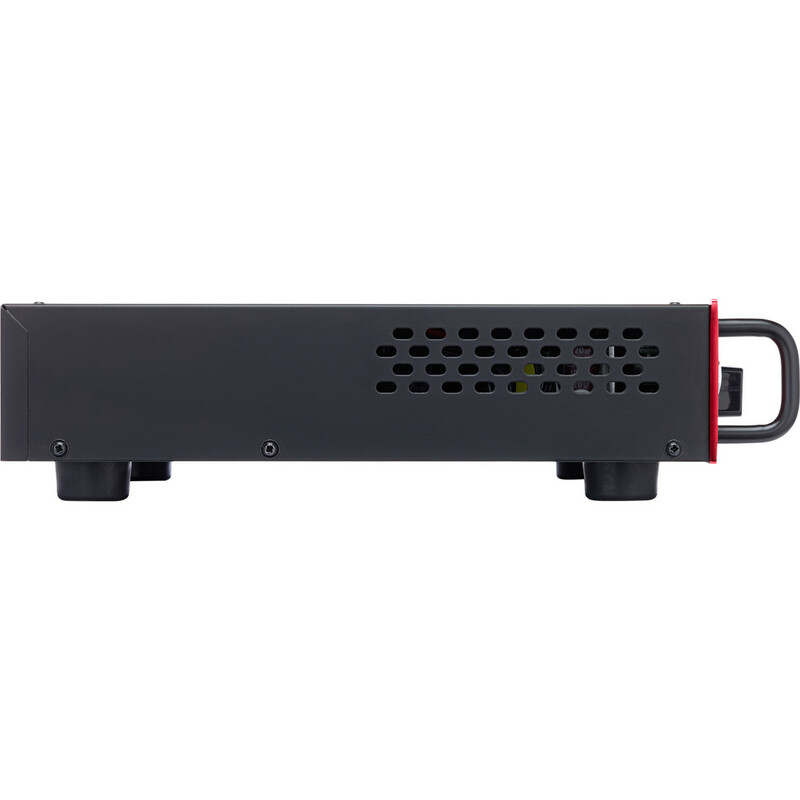 Choose between sending a pre signal for a completely clean and direct sound or chose post to get the flavour of the amp. Use your iPod, phone, MP3 player or similar to jam along your favourite tracks. 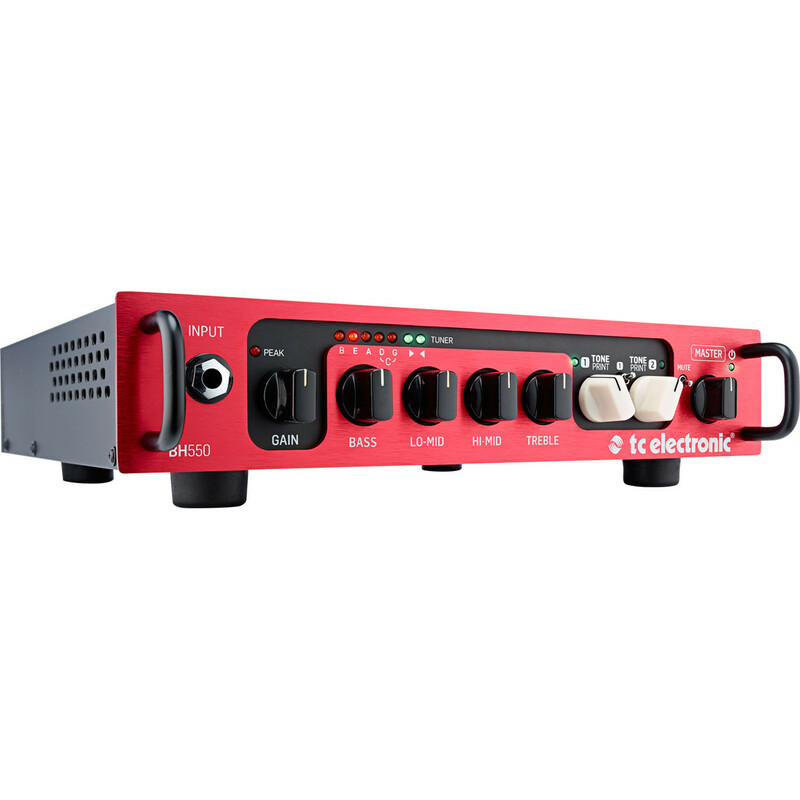 Just plug it into the AUX input and you're ready for a rehearsal session, combining your favourite music with your favorite bass tone! If you like jamming late at night, plug in a pair of headphones for a silent session. You can hook up a Switch 3 pedal for complete creative control. The first switch will turn TonePrint 1 on and off, the second turns TonePrint 2 on and off, while the third will mute the amp.